Aeroflot has been named the world's strongest airline brand for the third year in a row by Brand Finance, the leading independent brand valuation consultancy. "Aeroflot is an airline possessing nearly a century of history, and we are proud to represent Russia in the global transportation market. Our brand has been officially recognised for the third year in a row as the world's strongest aviation brand," said Aeroflot CEO Vitaly Saveliev. "Millions of travellers hailing from countries around the world have chosen to fly with Aeroflot. Customer feedback is the most important factor in helping Aeroflot secure dozens of prestigious awards and high ratings every year. Despite a challenging geopolitical environment, we are steadily moving towards achieving our strategic goals, which are first and foremost to strengthen Russia's status in aviation and to ensure the country has a powerful civil aviation fleet." “Aeroflot is to be commended this year for its upgrade in brand strength rating to the elite AAA+. The brand continues to get the pivotal fundamentals right, such as renewing the fleet of aircraft, retaining passenger loyalty and providing a top-class service on board”, said David Haigh, CEO of Brand Finance. 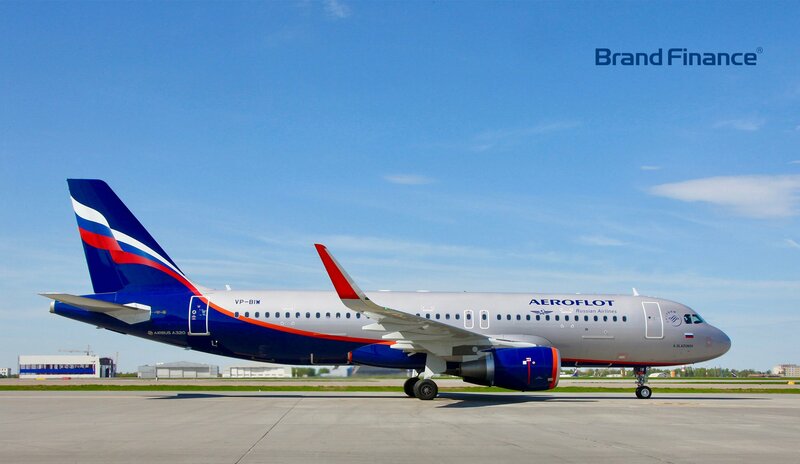 “As the importance of geographic indication on brands becomes ever more vital, Aeroflot is a perfect example of a Russian origin brand which presents itself on the world stage with a truly global presence, especially through sponsorship commitments such as its agreement as the official carrier of Manchester United”.